the massive amount of time, energy and resources that go into deepening awareness, love, relationships, convictions and spirituality. 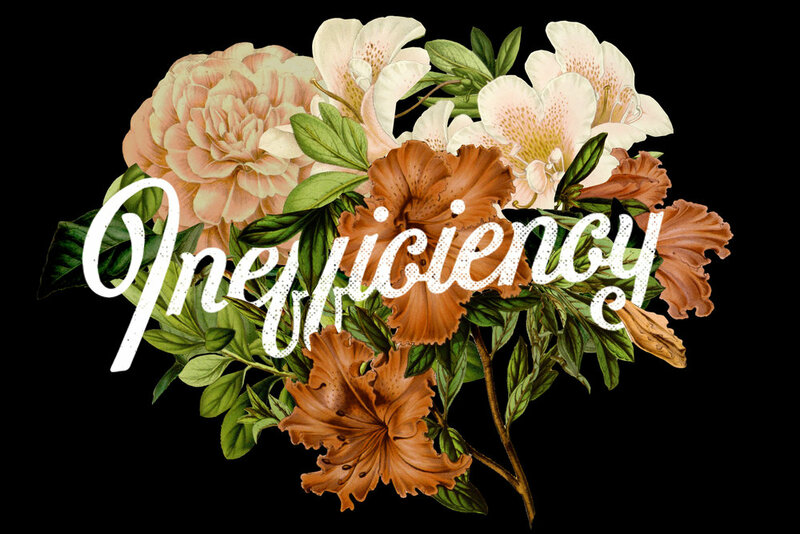 Inefficiency is a group of therapists, artists and makers creating content that promotes relational and emotional health. Our desire is to help you slow down long enough to feel, think and move in the directions that matter most to you. Inefficiency Magazine is not just a beautiful magazine but a therapeutic resource. 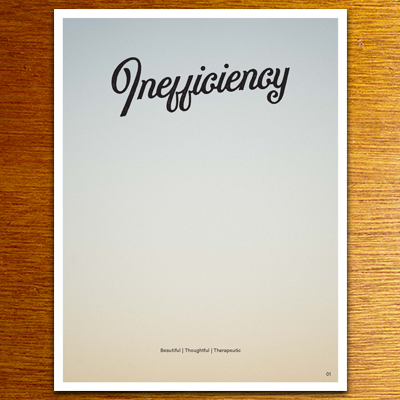 Inefficiency is a publication tailored to the person wanting to slow down, reflect and grow. It is perfect for our living rooms all the way to a therapist’s waiting room. The magazine provides all the qualities that go into great therapy: self-awareness building, content that is thought provoking and affect evoking, curious, creative and playful. Whether you are a therapist, patient or someone who just cares about their mental and emotional health, Inefficiency Magazine is a resource that supports your efforts in living well. A twice a month show that explores the curiosities and complexities of our death bed desires, the things that often matter most to us at the end of our lives: relationships, convictions and spirituality. Host Matt Inman interviews psychologists, artists, theologians, musicians and writers who think and create around themes of inefficient love and living. Matt Inman is a psychotherapist with a private practice in Austin, Texas. He hosts Inefficiency Podcast and is Editor-in-Chief of Inefficiency Magazine. While Austin is home, part of Matt's heart is in Kansas City, MO and several pieces are scattered up and down the California coastline. Jonathan Kofahl is a helper, a solid 2 on the enneagram. Jonathan started Lost Gold Media, a video production company in Austin, TX. He’s a filmmaker, friend, communications director, editor and engineer. Jonathan runs the production side of Inefficiency and makes it all look pretty. He has an awesome family that he loves.